We carry a wide selection of brands to serve you. We are the RED POWER TEAM– A family owned 10-location complex of Case IH dealerships spanning northern Iowa. We have been building our team for the past 45 years and it continues to grow. Each RED POWER TEAM location sells NEW and USED CASE IH Agriculture equipment and has full parts, service and sales departments with a team ready to get to work for you. 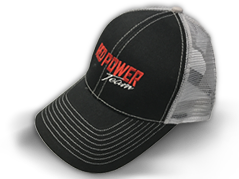 In our shop or on your farm– with state of the art tools and equipment along with factory-trained service technicians the RED POWER TEAM can ensure you’re running in the field efficiently and consistently. For consumers, we offer a full line of HUSQVARNA products including Lawn and Garden Tractors, Commercial Zero Turns Mowers, Snow throwers, chainsaws, string trimmers, and leaf blowers. We also provide parts and service for Husqvarna products. The Red Power Team serves Kossuth, Hancock, Emmet, Butler, Humboldt, Cerro Gordo, Calhoun, Chickasaw, Spencer, Palo Alto Counties and surrounding area from our 10 locations in Bancroft, Corwith, Estherville, Greene, Humboldt, Mason City, Manson, New Hampton, Spencer, and West Bend Iowa.